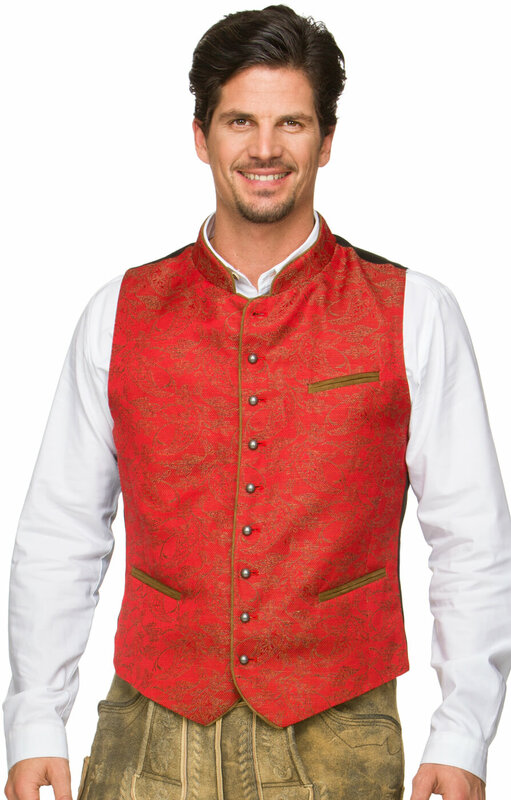 Men’s Costume Waistcoat Paolo in Red. 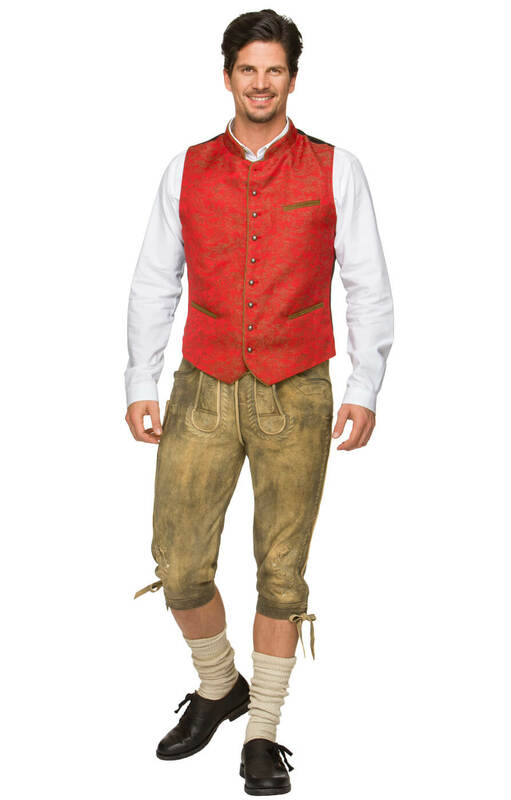 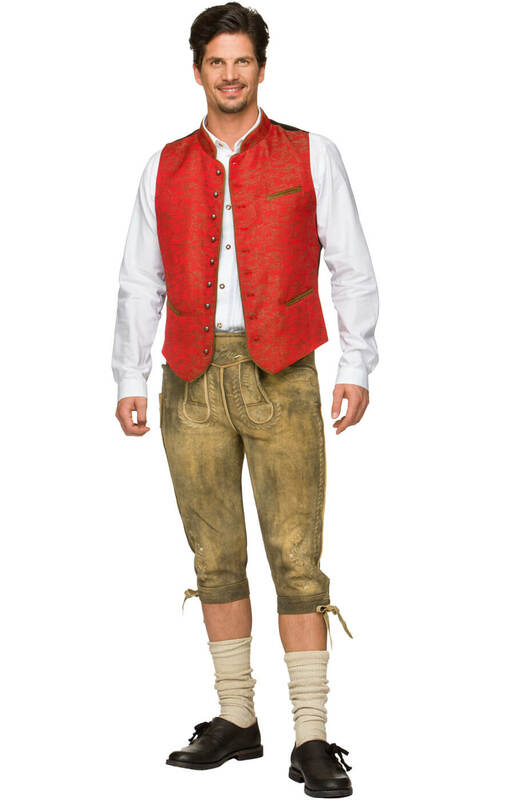 Your sense of style will certainly not go unnoticed when you head out in the evening to Oktoberfest in this stylish red waistcoat. 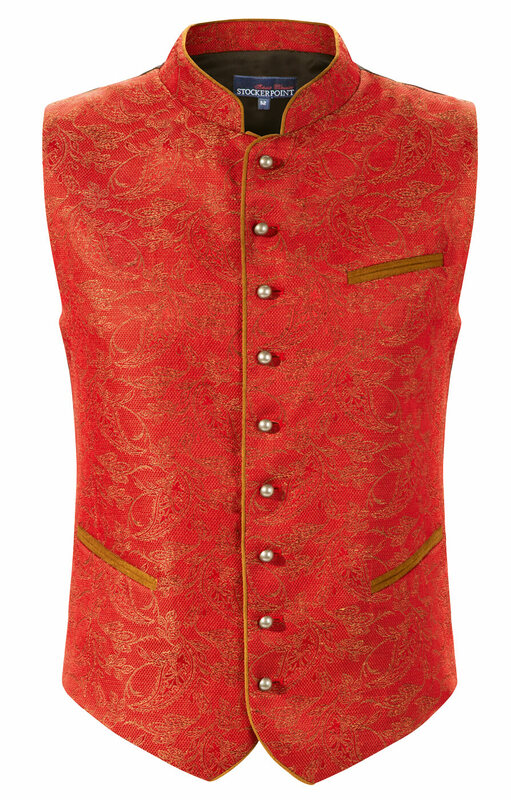 The bold red colour of the waistcoat is perfectly paired with the subtle gold leaf pattern on the front of the waistcoat, while the black back provides a striking contrast that gives it a unique look and makes it ideal for formal wear and is distinguished by a buckle at the back. 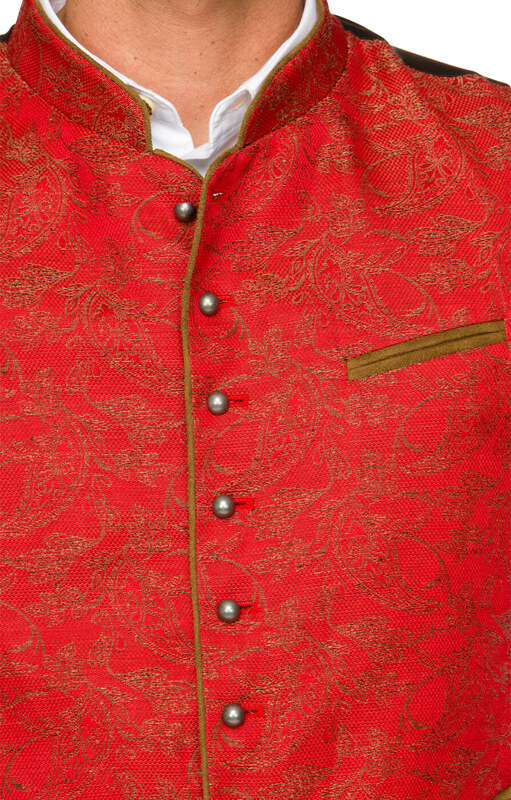 The gold pattern on the front is complimented by the gold edging and the three eye catching gold edged pockets on either side and on the left breast. 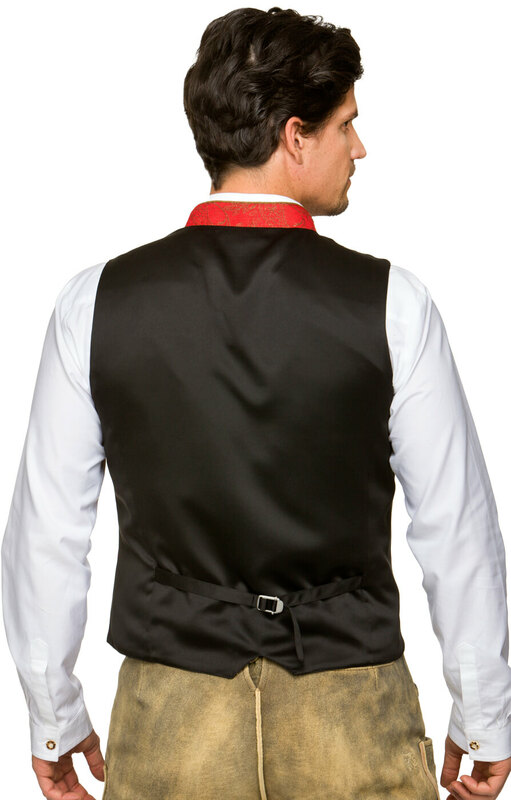 Qualität und Verarbeitung sind gut, eine schöne Trachtenweste, mit der man sich leicht von dem Einheitslook unterscheiden kann.